Seven years ago, I started Code for America because I believe government can—and must—work dramatically better for the American people. Much has changed over the last year. Cities across America continue to start digital service groups, forging a new ability to make digital government services that meet people's needs. States are changing the way they buy technology, and moving away from waterfalls to agile iteration after years of user research and testing assumptions. Code for America’s partnerships with governments show services working as they should, and scaling to hundreds of thousands of people in new counties and states. These are the changes Code for America set out to create, and they’re happening. They’re all part of government starting to work better for the people and by the people in the digital age. The on-the-ground reality is this: we’re winning. But there’s also the elephant in the room. This year, a new federal administration and Congress started implementing their own takes on the roles of technology and innovation in government. There’s bipartisan agreement that technology in government must improve, and while the new administration has in some ways validated the movement Code for America began, it has simultaneously challenged some of our fundamental assumptions about government’s proper role in society. Decades of failing to move government into a digital age have fueled the faction of people that are determined to dismantle government, just when we need it the most. We are confronting Russian interference in our elections, the need to grapple with the unintended consequences of powerful tech platforms, the epidemic of digital disinformation, and dozens of other daunting challenges. So how should we think about modernizing government in this unprecedented political and social climate? One thing is certain: we can’t sell the value of a competent government to the American public with just words. We have to show that government can work for them. The public has to experience it. It has to be real for 300 million people, and FAST. So we better double down, and more people had better get on board. Back in June, I went to the White House’s American Technology Council (ATeC) to show up and speak up. In the end, the event reminded me how we can’t wait for someone to come along and help us. No one is coming. If we want government that works—for the people and by the people—it’s up to us. There’s a daunting number of issues we must address—seemingly all at once—in today’s often-frightening world. But as we address each concern the best we can, and in our own way, let’s not perpetuate the mistakes of the past by thinking that we can address them if the government doesn’t work as it should for the people it is intended to serve. Let me tell you about what we’ve done in the past twelve months and what we’re planning to do next. We believe our country must reinvent our social safety net for a digital age. We started by following thousands of SNAP (food stamps) users to understand and remove the bureaucratic and operational barriers that make the program hard to use, hard to administer, and cost more than it should. Today we’re asking: can we take what we’ve learned with GetCalFresh and scale it across multiple benefits, and across the whole country? Individual benefits—food stamps, Medicaid, Temporary Assistance for Needy Families and the Earned Income Tax Credit, etc.—all have different application processes, despite the fact that they share broadly similar eligibility criteria. As we saw with SNAP, applying for each benefit can be extremely burdensome. In Michigan, for instance, the application for standard benefits is 60 pages long, and that’s just the first step in a long process. Getting through multiple application processes can be insulting and depressing. It’s also incredibly difficult on overworked social services staff and costly. The irony is that all this does not result in lower rates of errors or fraud. Late this year, we started working with private and public organizations to begin designing a new, user-centered benefits system. With help from the Chan Zuckerberg Initiative, we are working with the Centers for Medicare and Medicaid Services, the U.S. Department of Health and Human Services, the U.S. Digital Service, and Nava to create a simpler, clearer, faster way to enroll for benefits. We’ll be doing this work across red, blue, and purple states. Working with a diverse group of pilot locations means we’ll better understand the challenges faced by people and bureaucracies across the country. We’ve already started this work with Michigan and, next year, we’ll pick four more states to work with. Ultimately, this project is not about the safety net as its been defined by policy makers or the media. It’s our first concrete experiment working towards a broader vision of government services that span across silos, that are redesigned for a digital age, when it’s possible to meet people’s needs wherever they are regardless of the structure of the bureaucracy behind the program. In the long run, we envision government serving the public in dramatically better ways using data, technology, and design far beyond SNAP, Medicaid, and other benefit programs. A safety net that lives up to its name would help someone on food benefits succeed on probation; it would get them healthcare without making them fill out forms; it would clear your record automatically; it would help the public and public servants do all of the above at a lower cost with better outcomes. Because when government services work better for users at a lower cost, it benefits everyone in the country. Our initial experiment in redesigning the safety net has become a state-wide partnership that makes us the largest outreach organization in the State of California by a factor of three, and has so far helped over 140,000 people. More importantly, this work has shown county and state government that there’s a better, more compassionate way to deliver government’s critical services. making it easy to comply with the six-month reporting requirements, which has been a historically large source of applicant drop-off. making one the required steps in the application process, the interview, much easier to navigate by piloting on-demand interview scheduling and making sure that calls from the county don’t show up as spam. These may seem like small fixes, but our data show that a significant portion of applicants can’t take these calls when scheduled or were missing calls from spam numbers and often have to start the process over. Our program is not just a software fix: we’re getting deeper and deeper into the operations and policies of this critical program to show how any program like this can improve through the routine analysis of user data. And when a disastrous fire struck Sonoma County in northern California this year, our work was suddenly not routine. The Code for America GetCalFresh team quickly partnered with the State and county to help more residents navigate the “Disaster SNAP,” an emergency version of the program. Building event-responsive infrastructure is just one of the ways we think user-centered digital services can help rebuild trust in government, and do more with less. America has an incarceration problem. It’s a big one: 22 percent of all the people in jail globally are in the US, despite the fact that the US makes up only 4 percent of the world’s population. This complicated problem is further compounded by the large number of people in a pre-trial state, or on probation and parole who don’t reoffend but who return to jail because of administrative failures. It’s also compounded by the pretrial population. Around two-thirds of people in jail are just awaiting trial. Why are these people there? Because if defendants are released pretrial, they sometimes fail to show up for their court dates. To keep failures-to-appear (FTAs) down, it’s simpler to keep defendants in jail. But it’s unjust, ultimately more expensive, and is destructive to both families, and the defendant's prospects for rehabilitation. We are addressing these criminal justice reform issues with our newer services, like ClientComm. 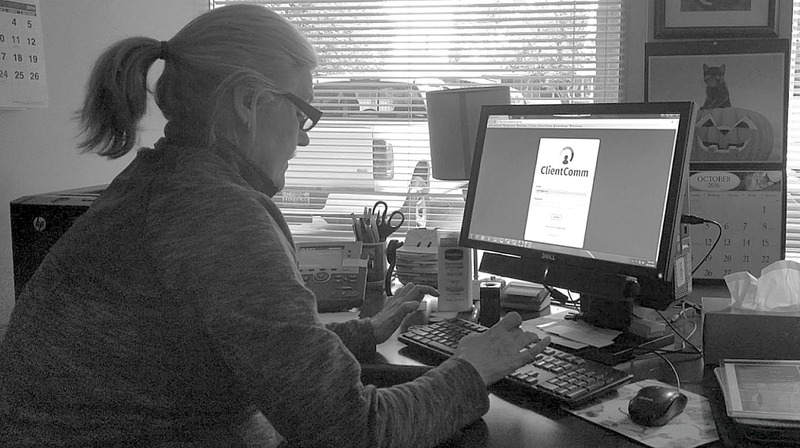 Built in 2016 for Salt Lake County, ClientComm connects case managers with their clients via text, voice message or email, allowing clients to communicate from their mobile devices and computers. This facilitated communication reduces failures-to-appear among the pretrial population, and prevents a whole host of possible administrative failures among people on probation. Reducing these two major contributors to the increasing jail population can ultimately impact our nation’s over-incarceration problem. This year, ClientComm went from prototype to pilot. We saw success in Salt Lake; now it was time to see if ClientComm would have the same impact at scale. As a critical part of our plan to reduce the number of people unfairly held, the pilot phase expanded ClientComm to address the pre-trial population and brought the service to five more locations: Pima, AZ; Baltimore, MD; Multnomah County, OR; and Polk County, IA. So far, ClientComm has helped 75 percent of clients comply with the terms of their probation and contributed to a 64 percent reduction in pretrial arrests in Salt Lake County, all the while saving case managers an average of 5 hours a week of work. This year, we nearly doubled the total number of case managers using ClientComm and project to quintuple the number of clients served. Next year, we hope to triple again the number of clients served. Criminal records are a barrier to jobs, housing, and education, and area key to breaking the cycle of incarceration. In California, “clean slate” laws help reduce or dismiss convictions. Unfortunately, few people know about the laws, and even fewer have successfully cleared their records and moved on. There are probably 8 million residents in California alone who are eligible for life-changing criminal record clearance. Like ClientComm, Clear My Record graduated from prototype to pilot in 2017. This year, Clear My Record has given nearly 5,000 people in California a better chance to succeed by removing one of the biggest barriers to getting a job, housing or education.  Our service simplifies the complicated clean slate processes to an eight minute application, working with public defenders and legal aid organizations to move people through the procedure. Just one application through the service starts the process in every county where the applicant has convictions. There are still tens of millions of Americans eligible to clear their records. So this year, we started work researching and prototyping different ways of helping people clear their records beyond working with public defenders. 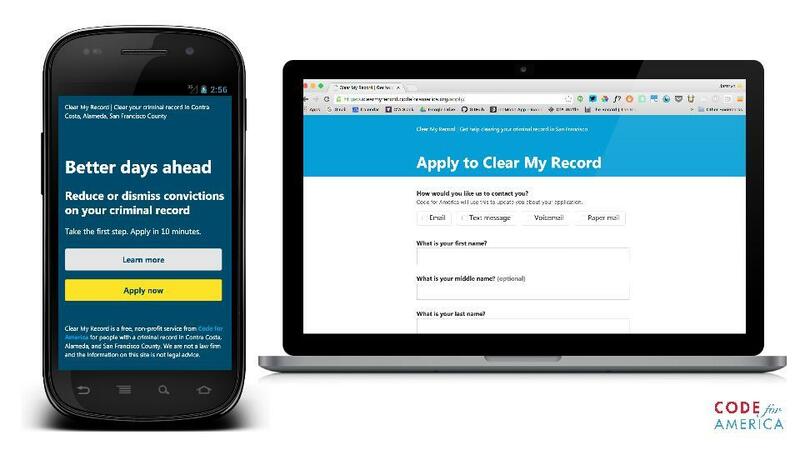 Now we’re experimenting with improving Clear My Record so that applicants can represent themselves if public defenders aren’t available. Next year, we plan to build prototypes of these services across a diverse group of states. When we talk about government for the people, by the people, some of the “for” jobs done by government include helping those with the greatest barriers to employment find work and meeting the needs of local employers. Together, these two jobs are known as the public workforce development system. Around 16 million people try to use this system every year, but not enough of them are getting the help they need to find work. When this system fails, it means people can’t escape a cycle of poverty. For the billions of federal dollars spent on this system every year, we think it could—and should—be doing better. Over the last two years, we’ve run local fellowships and research projects, working with parts of the public workforce development system. We’ve followed people looking for jobs—including those formerly incarcerated, unemployed insurance claimants, returning veterans and more—as they try to make use of a system intended to help them find work through local job centers. What we’ve found is that the technology and processes that people encounter in this system work at the state level - and that’s where we’re concentrating our effort in 2018. More people in more governments in more places now understand the need to train and hire technologists. That’s why we’ve begun a talent initiative to find and support technologists who want to work in government, as well as empower federal, local and state governments to adopt better practices so they can hire better technologists. And if that work sounds interesting to you—we’re looking for a senior manager to run it. Our mission is to make sure that government in America truly serves the people in the 21st century. The projects above are ones Code for America staffs directly. But our country was built on the notion that it’s everyone’s job to make our government work. In Tulsa, the Public Defender’s office was running a pilot to reduce the number of people held in jail. One hundred people charged with minor offenses were released to be with their families while waiting for trial, instead of the usual practice of being held in jail. 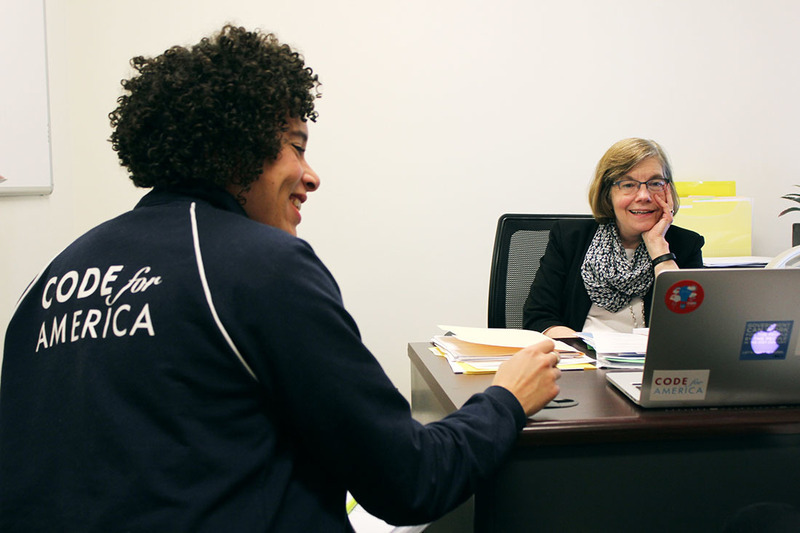 The program’s success was dependent upon clients making their court dates, and the burden of calling every client for every court event was overly burdensome for an already-strapped public defender’s office. The Code for Tulsa brigade, led by Carlos Moreno and Brittany Berwanger, saw this problem and knew they could help. So they adapted Courtbot, an app built by a Code for America fellowship team for the City of Atlanta. Like ClientComm above, CourtBot makes it easier for defendants to remember court dates and receive important notices, reducing the risk of a failure to appear in court. When Hurricane Harvey put Houston under water earlier this year, the Code for America Brigade in Houston (called SketchCity) stepped up. 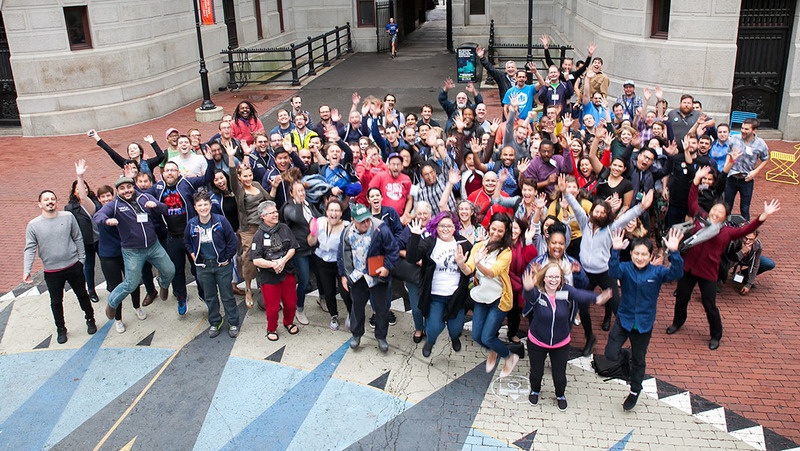 This Brigade has been working with open data from the city and county for years, and has a strong community who already knew how to work together. Most importantly, they already had a strong relationship with the local government. With all of these things in place, these amazing volunteers crowdsourced data critical to saving lives, and got that data where it could help. One of their projects, a text bot that could tell people in crisis where to find a shelter that was verified to be open and available to them, became known as one of the only reliable sources of this critical information. See more of their work at harveyneeds.org. Later, Sketch City worked with volunteer leaders in Miami and Fort Lauderdale to deploy a version of harveyneeds.org in Florida when disaster struck, improved upon it and with a few days, irmaresponse.org was launched. Together, the Code for America network team and leadership of brigades in Houston, Orlando and Miami also worked with the Puerto Rico Innovation and Technology Service responding to Hurricane Maria. 2017 also saw our first Brigade Congress, a meeting of 38 of our Brigades across the country. 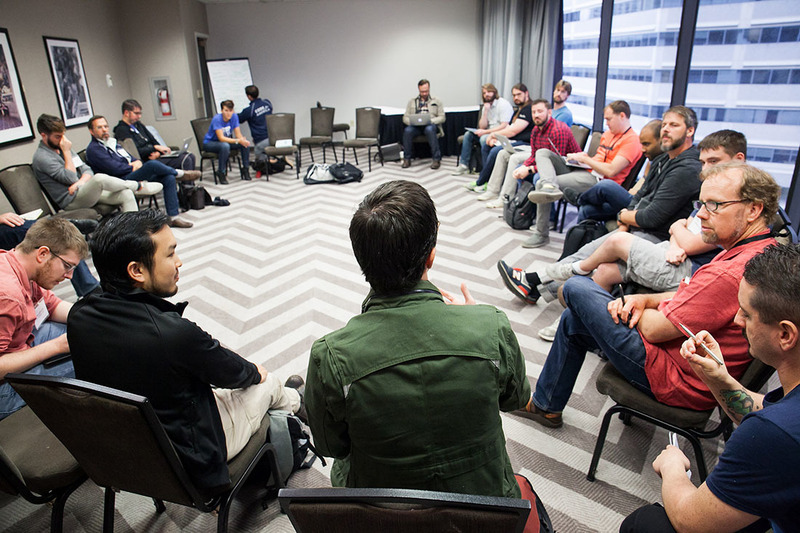 The gathering was an opportunity to share best practices, learn across the network and support each other. It was also a chance to discuss the common principles, values, and mission of the movement together. We need to help people in need today, and we need to do the long, hard work of rebuilding the one institution designed to serve us all. 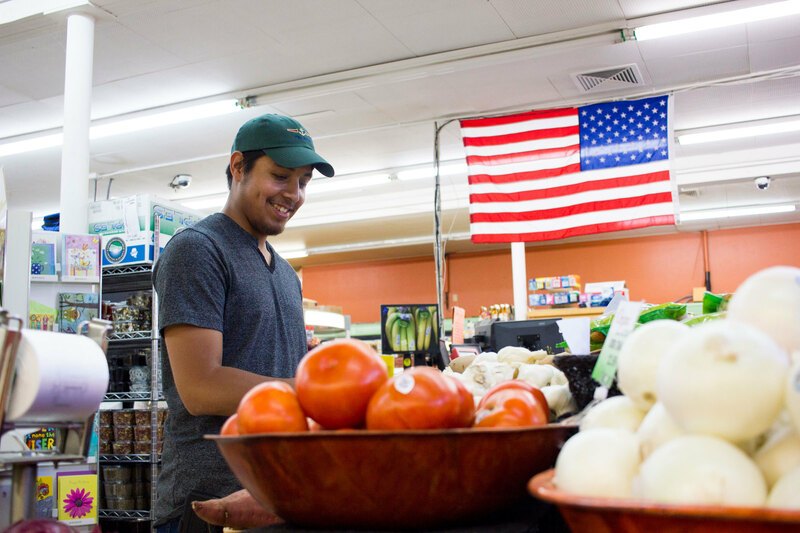 The work we started three years ago in California on food stamps is now spreading to the whole state and changing how benefits are administered. It’s been the springboard to redesigning a simpler, faster and clearer integrated benefits system and showing how instrumenting these systems result in better outcomes. Courtbot, Client Comm and Clear My Record, are making a difference for thousands of people in the justice system system. The most vulnerable need government to work, but so does everyone in our society. Whatever happens next in our country, this is a mission we can’t fail at, and it’s no one’s job to make sure we don’t but ours. We’ve got a big year ahead of us in 2018, and whether you help out by donating or getting involved locally in the people and technical problems that matter, thank you for your support in 2017.